Dunkum's new basketball has been signed by his hero, David Robinson. Now Dunkum spends all his time playing with the ball. He's much too busy for his Cul-de-sac friends. When the ball disappears, Dunkum finds a secret code. Someone with a weird name has stolen the basketball! And he's leaving messages everywhere! Who is the mysterious Case D. Luc? And will the codes lead Dunkum to his treasured ball? The Mystery of Case D. Luc by Beverly Lewis was published by Bethany House in July 1995 and is our 32278th best seller. The ISBN for The Mystery of Case D. Luc is 9781556616464. 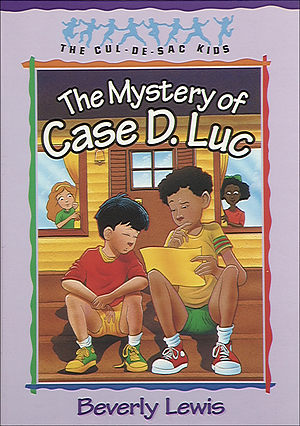 Be the first to review The Mystery of Case D. Luc! Got a question? No problem! Just click here to ask us about The Mystery of Case D. Luc.